For those who may want to get closer to nature or experience part of Samoan culture, a traditional Samoan fale is also available with its own kitchen and bathroom facilities. 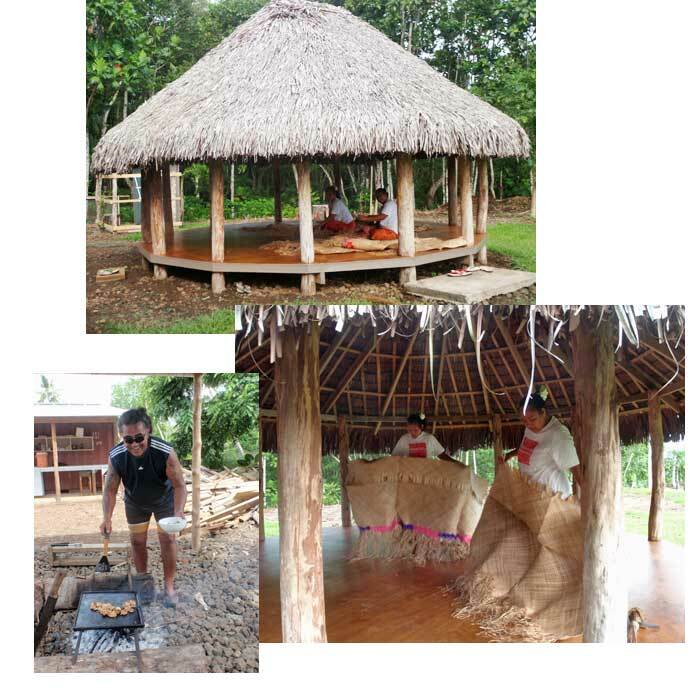 The Fale provides a comfortable setting to watch and participate in the preparation of a traditional umu or a barbecue. It is also a great place for the kids to camp out (mosquito nets provided). Ifiele’ele is located a short drive from the airport but you feel a world away from civilization – so quiet! A great place to relax and escape the heat, recharge and explore everything Samoa has to offer. If you are planning a trip to Samoa, you have to stay at Ifiele’ele Plantation. There is no other place quite like this. Ifieleele Plantation beats all other self-catering places or B&B’s we,ve ever stayed in. The location is superb, away from town with sea views in the distance. Not too far from supermarkets, airport and ferry. The accommodation is modern top-quality with kitchen set up with all mod-cons. Our family of 9, including a baby, had a wonderful 5 nights stay. Where do I start? What a fabulous place you have Joan and Paul and such great hosts. Thank you for everything, Bob won’t forget his 70th birthday surprise in a hurry. The plantation surrounds were spectacular and the studio apartment very comfortable and stylish. Wish we had stayed longer.